Illinois State students on a Leaders of Social Change trip in Washington, D.C. Private giving impacts every part of a student’s Illinois State experience. From scholarships to conference travel, from student activities to state-of-the-art classroom technology, there are many Redbird experiences that simply wouldn’t exist without gifts from our alumni and friends. That’s the impact you can make on Giving Tuesday. This fall, the Mennonite College of Nursing (MCN) welcomed its newest addition—“Danny K. Redbird,” also known as SimBaby. The $50,000 high-tech patient simulator helps MCN students learn how to care for a sick infant in a safe environment while supervised by their faculty mentors. MCN’s previous infant simulator, which was “born” in 2007, was aging and needed to be replaced. That’s when a network of 200+ financial supporters stepped up to cover the cost. “With SimBaby, students can assess, make clinical judgments, and take action to alleviate and try to resolve the problems the baby is exhibiting,” says Lynn Kennell, MCN faculty member. The College of Education’s Teaching in the 21st Century Conference (T21Con) is an annual, donor-funded professional development event on campus that empowers pre- and in-service teachers to develop creative, effective student learning through the use of educational technologies. All T21Con presenters are P-12 educators who serve as technology leaders in their schools and districts, and their sessions feature practical approaches with cutting-edge strategies. Attendance for the 6th annual conference in September topped 400 current and aspiring educators. Related Link: Join Giving Tuesday Make a gift that matters today on Illinois State University's Giving Tuesday. Approaching its 39th season, the University’s Illinois Shakespeare Festival (ISF) has become a nationally recognized destination theatre, attracting top talent each summer from across the country. Student interns learn their craft by working side-by-side with professional artists in our breathtaking outdoor Theater at Ewing. The Illinois Shakespeare Festival’s Theatre at Ewing. Like all arts organizations, ISF is dependent upon private gifts; only about 30 percent of the budget is covered by ticket sales. A significant increase in contributed income would allow the Festival to extend its programming and community impact throughout the year, expanding its offerings to become an even stronger springboard for ISU’s emerging theatre artists. 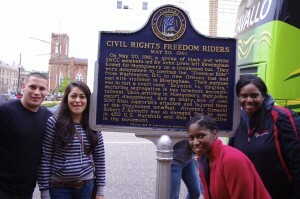 Students on a recent Leaders of Social Change trip in Alabama. Within the Division of Student Affairs there are many programs that would not be possible without private funding. One of these programs is Leaders of Social Change (LOSC), a five-day immersive trip that allows students to learn about effective leaders, historical events, and how to make a difference in the world. During the LOSC trip, students examine leadership through the lens of social justice movements. Movements that may be featured could relate to race, gender, sexuality, and/or disabilities. 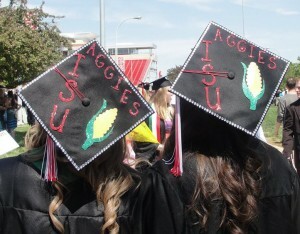 Many other universities have created similar trips inspired by ISU’s Leaders of Social Change model. About 10 years ago, former Milner Library director Joe Kraus endowed a library lecture series in the name of his assistant director, Bryant Jackson. This lecture series provides Milner Library with the opportunity to bring to Illinois State the foremost thinkers and speakers on library and information-related topics. Thanks to Kraus, Milner Library continues to integrate the most important ideas and practices into our work in service to the students and faculty of Illinois State. 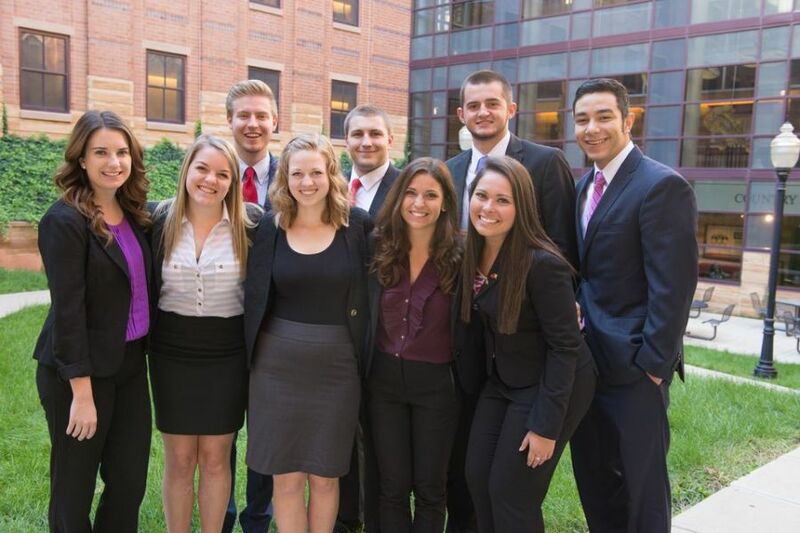 The Business Week Team from the College of Business. Private gifts have been key to launching the Redbird Career Portfolio and supporting mentorship programs in the College of Business. Both are major steps toward the creation of the college’s initiative for a new Center for Student Professionalism and Career Development. Once launched, that center would will provide coordination for focused internships, mentorships, programs in business professionalism, business writing and oral communications resources, career counseling, industry relations, and be the catalyst for collegewide case competitions. Two donors have contributed $35,000 to begin to refine and expand existing mentorship programs. Private gifts will also support the new Redbird Career Portfolio, which students will use to develop and track their professional soft-skill set throughout their time at Illinois State. Upon completion students will receive a certificate of professionalism as part of their ISU credentials. Members of Illinois State’s Agriculture Alumni Board give to offset the costs of student trips. Nearly 600 students at Illinois State major in agriculture, and 85 percent of those students belong to numerous registered student and professional development organizations. They compete in local, regional, and national academic competitions, which are costly due to transportation, lodging, registration fees, and food. ISU has an impressive track record and continues to receive accolades at these conferences, hosted by professional groups such as Agriculture Future of America, Collegiate Farm Bureau, National Agri-Marketing (NAMA) and Collegiate FFA. Members of Illinois State’s Agriculture Alumni Board give to offset the costs of these trips. Students are also required to match funds through fundraising or out-of-pocket expenses to make sure they understand the importance of this investment. Every year, the College of Arts and Sciences sponsors students who spend their summer interning in Washington, D.C. Private gifts make that support possible. During their D.C. internships, Illinois State students witness the challenges and rewards of public advocacy and service and gain an in-depth knowledge of the inner workings of national agencies and private interest groups. Many students who complete this internship use it as a springboard to start a career in our nation’s capital.